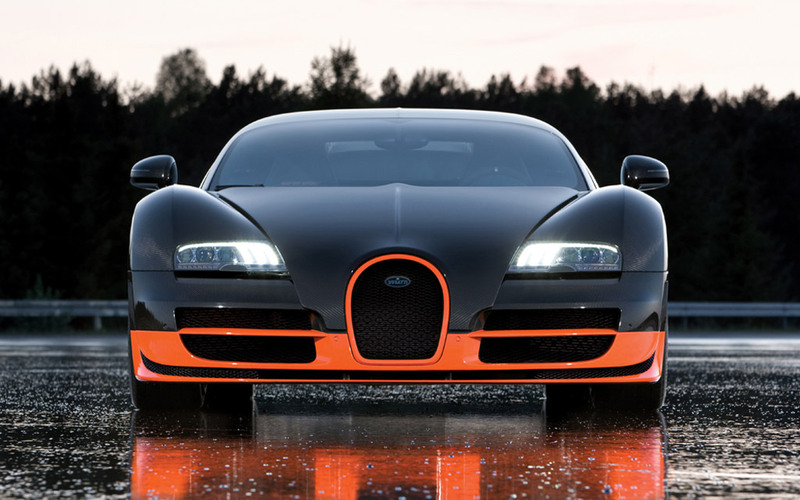 Behold the fastest and the most expensive production car in the world- the Bugatti Veyron Super Sport. The Bugatti Veyron SS is powered by a quad turbo-charged and intercooled DOHC 48-valve W16 engine and produces a mind blowing 1200 bhp. The W16 is mounted in the mid and has a displacement of 8L. The body is made up of carbon fiber in order to reduce weight and increase the speed. In fact the designers have designed the SS keeping only one target in mind- to be the fastest car on the road. So the top speed of the fastest car is 431 km/h and goes from naught to 60mph in just 2.4 seconds. 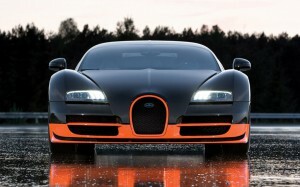 Finally the fastest car is also the most expensive car and is priced at $4,000,000!